More than 10 million people in the United States are blind and low vision. 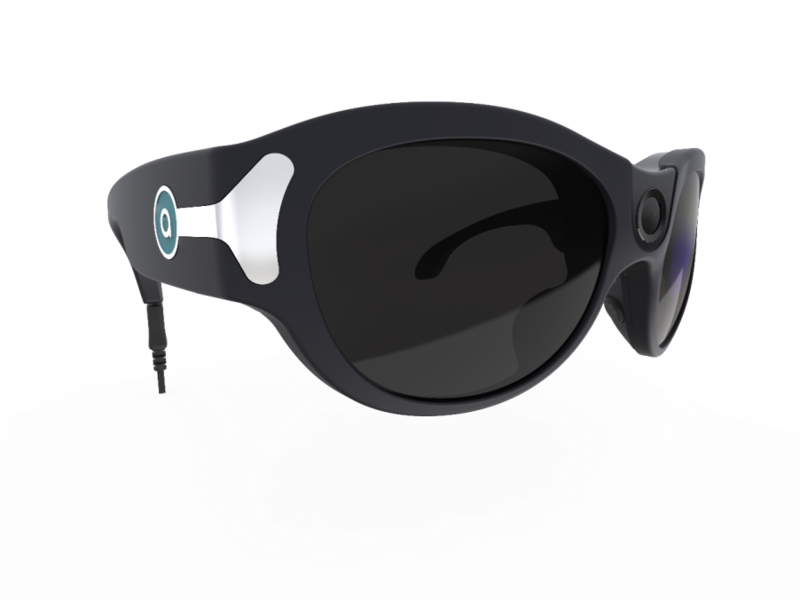 Aira and DDSTUDIO collaborated on the development of Horizon smart glasses. Through a unique combination of artificial intelligence, augmented reality, and human interactivity, Aira provides their users (also known as Explorers) with instant access to visual information. Explorers use this information to accomplish daily tasks with a heightened sense of efficiency, and greater engagement with their environment. Previous smart glasses using off-the-shelf hardware were not designed for people that are blind and low vision and therefore had various limitations. Explorers had multiple frustrations. Small buttons and connections on multiple products were too challenging to navigate and did not clearly communicate their status to the Explorers. Additionally, the design of the glasses was unconventional which drew unwanted attention to them. 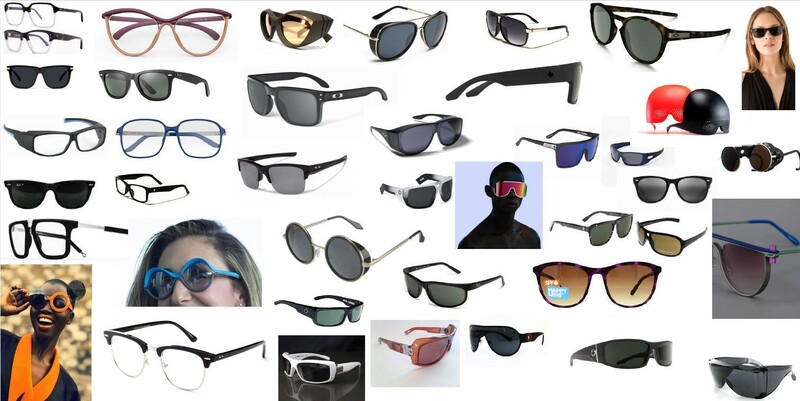 The market longed for stylish, less obtrusive glasses that were easy to incorporate with their daily lifestyle. Previous products had technical limitations. Wi-Fi connections were unreliable and difficult to set up. Problems had to be de-bugged remotely. Off- the- shelf cameras had a limited field- of- view. The camera and electronics needed to be integrated within the frame of the new glasses, making them less obtrusive. And the electronics and battery had to be placed in a way that wouldn’t create warm spots for the person wearing the glasses. 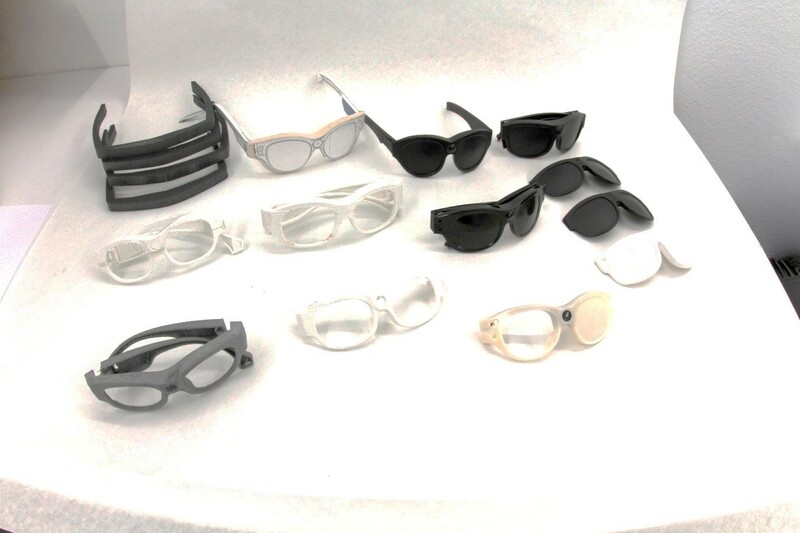 Using existing manufactured smart glasses also created business challenges. Aira was dependent on third-party products for one of its core functions. 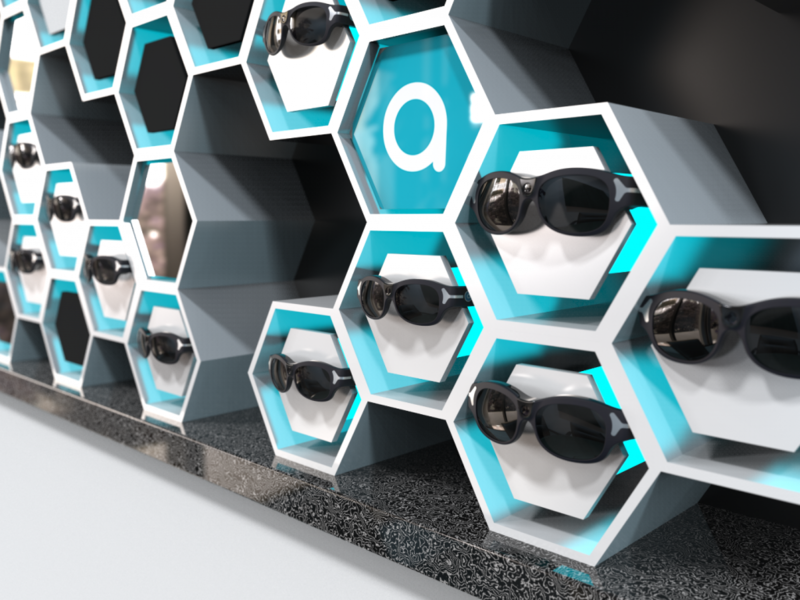 Custom-designing their own model glasses would give Aira better control of the product and the value it delivers to the marketplace. 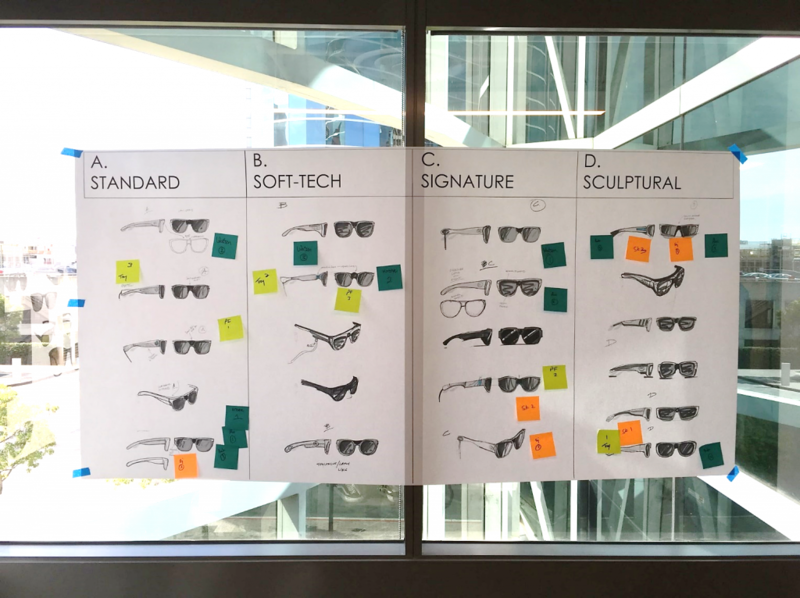 The challenge was creating a user-centered design for stylish sunglasses that incorporates technology unobtrusively and provides Explorers with access to a reliable connection, while also meeting hardware and environmental requirements. After extensive user research, Aira and DDSTUDIO developed Aira’s first Horizon Smart Glasses. Horizon’s sleek and stylish profile incorporates a wide-angle view camera and rechargeable battery in a unisex, durable frame to fit a wide-array of Explorers. 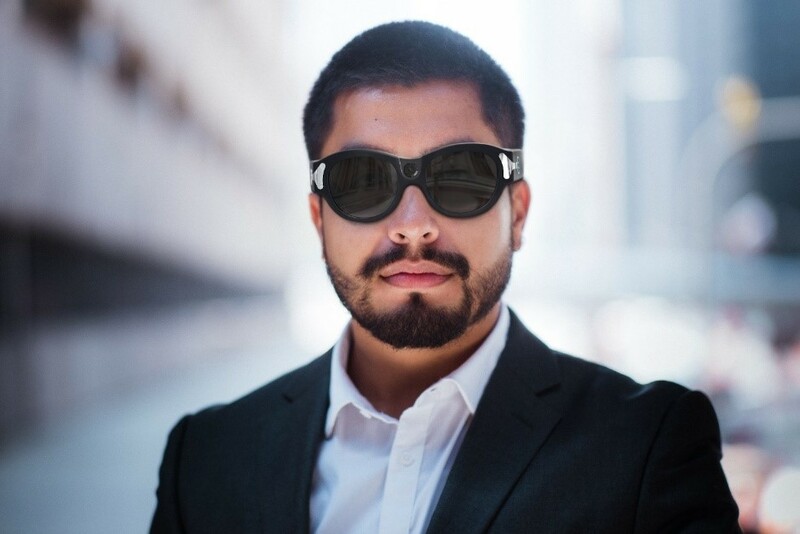 The purpose-build Horizon smart glasses include an improved design, incredible battery life, 120 degrees of visual field, better video quality and superior connectivity. Explorers are able to reliably connect with agents for an enhanced visual experience. Using video streamed through the camera in the glasses, in addition to GPS-assisted mapping and a user profile, trained agents help the user with the task at hand. Horizon smart glasses were designed to allow Explorers to surmount most day-to-day obstacles and then some, from crossing a busy intersection, to navigating through the airport, to shopping and reading a prescription label, including one Horizon user running a marathon. DDSTUDIO’S design leadership in medical technology and high-tech product development enabled it to assemble a team with the experience, expertise and processes to develop an outstanding startup product for Aira in less than one year. Through a prior project, DDSTUDIO connected with Leopard Imaging, which was willing to produce cameras that met the project specifications and worked with us to fine tune the project. Horizon’s camera, mounted between the lenses, provides a 120-degree view of the wearer’s surroundings to the visual interpreter. DDSTUDIO designed a frame that could be sized after manufacturing, which controlled budget of materials and kept tooling costs under control. The frames have multiple configurations through the installation of adapters that change the arm position, keeping the glasses ergonomic and accommodating to various head sizes. Through a unique combination of artificial intelligence, augmented reality, and human interactivity, we provide our users (also known as Explorers) with instant access to visual information. Explorers use this information to accomplish daily tasks with a heightened sense of efficiency, and greater engagement with their environment. Aira unveiled the Horizon smart glasses at HIMSS2018 in Las Vegas, a leading health information and technology conference, March 6, 2018. Also that day, Aira and AT&T introduced “Chloe”. Chloe is Aira’s own artificial intelligence agent. 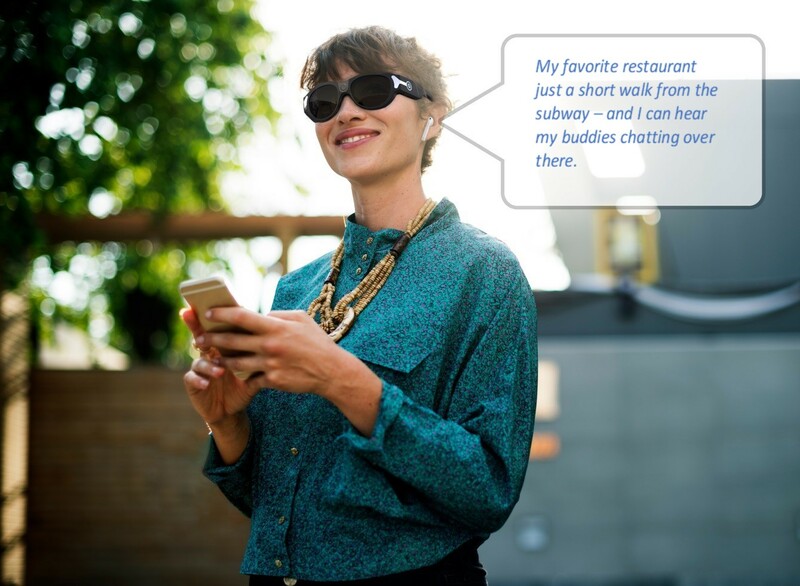 First introduced with the rollout of Aira’s Horizon Smart Glasses, Chloe is able to undertake various tasks asked of her, like reading, telling the date and time, connecting to an agent, and more. 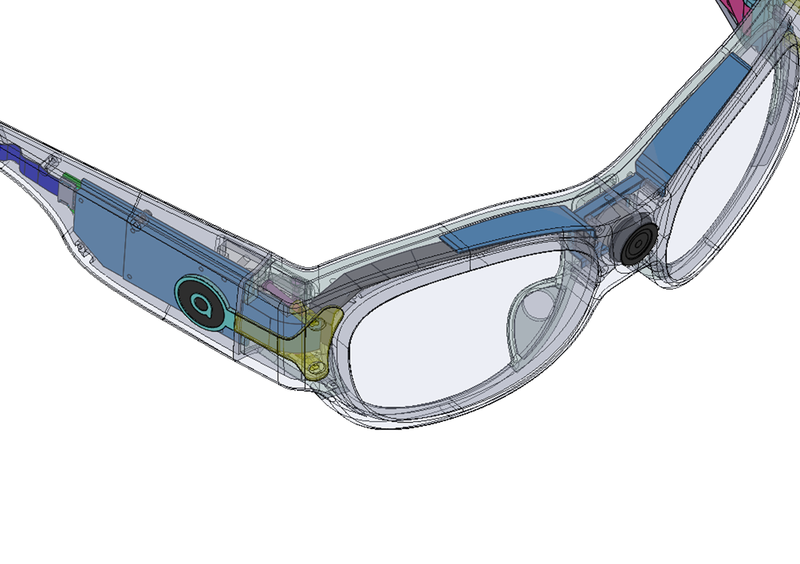 Chloe, powered by Amazon Lex, has been built into the Horizon glasses so that with a simple command, wearers can ask Chloe to read a prescription label through the camera. Help with managing prescription medication is one of the most requested application of Aira’s customers. Horizon Smart Glasses became available in May 2018. They come paired with an Aira dedicated smartphone, powered by AT&T, enabling the user to feel more engaged and efficient in every activity they do, from household chores; to traveling; to enjoying social occasions.